Since we’re all about video here at OneMob, it only makes sense that it be part of our entire experience. That’s why we’re excited to announce our newest feature- video reply. 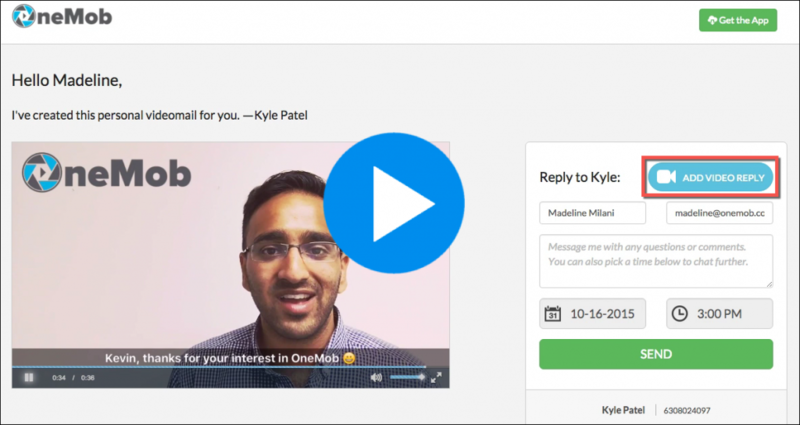 In this latest update, after you send a OneMob to your recipient(s), they can now reply with a video message back! This makes the entire experience personal and engaging. It’s simple, the recipient will see a new button Add Video Reply, and after clicking this they can record using their web or mobile camera depending on their device. The video message will be included with the response when the recipient clicks Send. If they’re camera shy, no problem; plain text replies can still be sent on their own. Why video reply? By giving recipients the option, its opens up video communication to both parties. And since recipients will be so impressed with your videos, you can expect increased and better quality responses. Check out our support page or watch the video below to learn how to start replying with video.